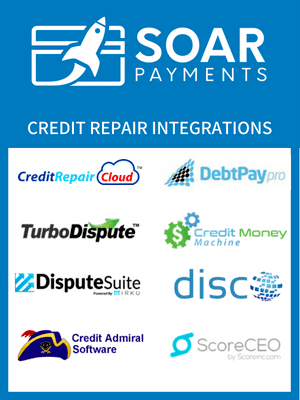 SoarPay is the #1 merchant account for credit repair and businesses in the credit counseling industry. SoarPay Is The #1 Choice For Credit Repair Merchant Services. Many merchant services companies do not accept credit repair businesses, for three primary reasons: The first is that credit repair businesses typically sell high ticket services (average price above $100) and their services are sold on a recurring billing plan. High ticket and recurring charges are particularly susceptible to so called “friendly fraud” and pose a chargeback risk to the credit card processor. Second, credit repair businesses often accept payments via a payment gateway as opposed to in-person, which are subject to increased fraud and chargeback risk. Finally, credit repair is subject to consumer protection regulations, and reviewing an application for compliance requires extra underwriting due diligence by the credit repair company’s credit card processor. Due to these three risks, many merchant services providers decline to accept any credit repair related business. 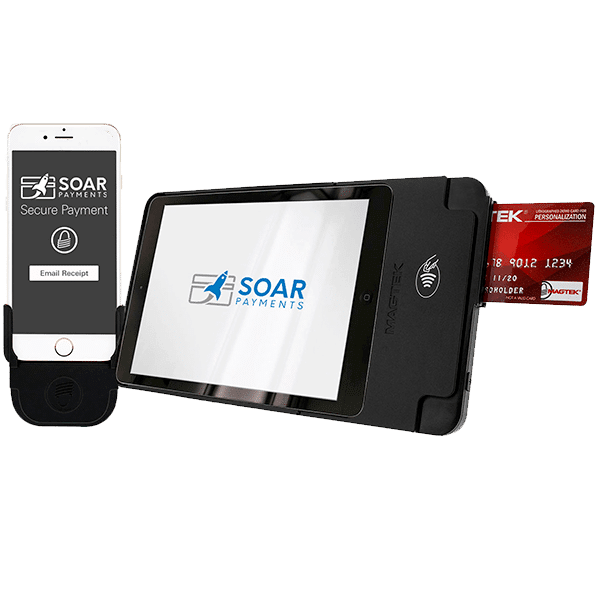 Soar Payments, by contrast, has consistently served the credit repair and credit counselor industries since our founding. Our extensive relationships with credit card processors and sponsor banks who have the capability to underwrite regulated industries, in addition to our integration of chargeback and fraud prevention software, uniquely positions Soar Payments to provide credit repair merchants with stable, effective, long term credit card processing solutions. Credit Repair Cloud, Turbo Dispute, Dispute Suite, Credit Admiral Software, Score Inc. / ScoreCEO, TrackStar, Credit Money Machine, MC Credit Solutions, Dispute Valet, Dispute Composer, DebtPayPro. We’re Also Compatible With Many Other CRM & Software Suites. 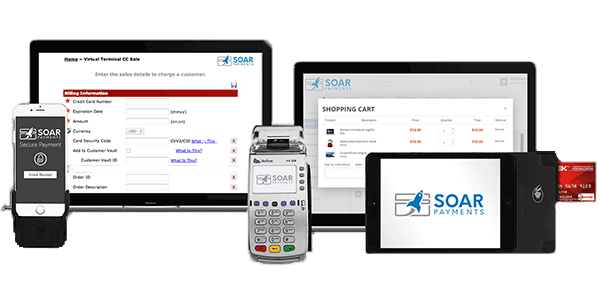 Soar Payment’s credit repair merchant accounts can be integrated with most other software or CRM platforms which are compatible with the Authorize.net, NMI, or USAePay payment gateways. A retail merchant account for credit repair enables companies to accept face-to-face credit card payments via a traditional credit card machine or point of sale system. Ideally suited to a retail setting with reliable internet access, retail credit repair credit card processing accounts typically have the lowest risk of chargeback and frauds and therefore are afforded the lowest merchant account pricing. A mobile merchant account for credit repair enables your company to accept in-person payments via a swiper that plugs in to your mobile phone or iPad. Ideal for credit counseling companies that conduct in-person sales outside of a traditional storefront, mobile credit repair merchant accounts have lower rates of chargebacks and fraud, and as such are priced similarly to retail. Also called a credit repair payment gateway, this enables businesses to accept payments over the phone, via mail, or typed into a computer (without needing outside equipment). A credit repair payment gateway merchant account is ideal for businesses that accepts payments over the phone, or via mail order. Our virtual terminal accounts integrate with most major credit repair software and CRM systems. 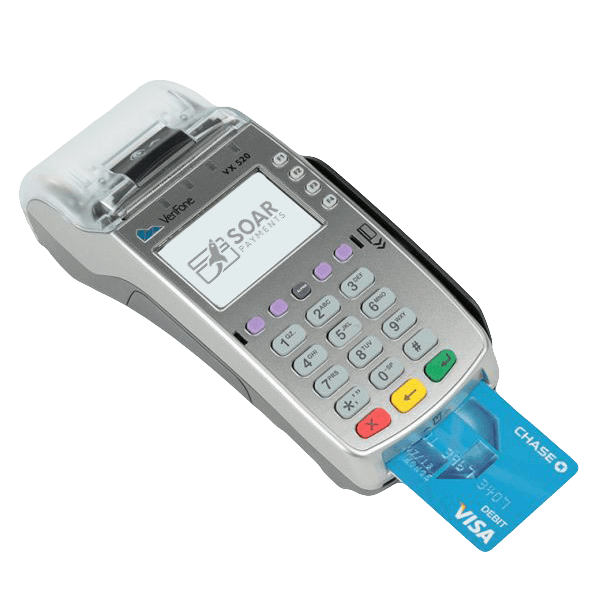 Accepting payments via virtual terminal is particularly vulnerable to fraud, therefore Soar Payments offers integrated chargeback protection. eCommerce credit repair merchant accounts allow your company to accept debit and credit cards via your website’s checkout page. Our eCommerce credit card processing accounts for credit repair integrate with most leading payment gateways and shopping cart software, making setup easy. Online credit repair merchant accounts are vulnerable to fraud and chargebacks, therefore, we offer pre-integrated fraud protection. 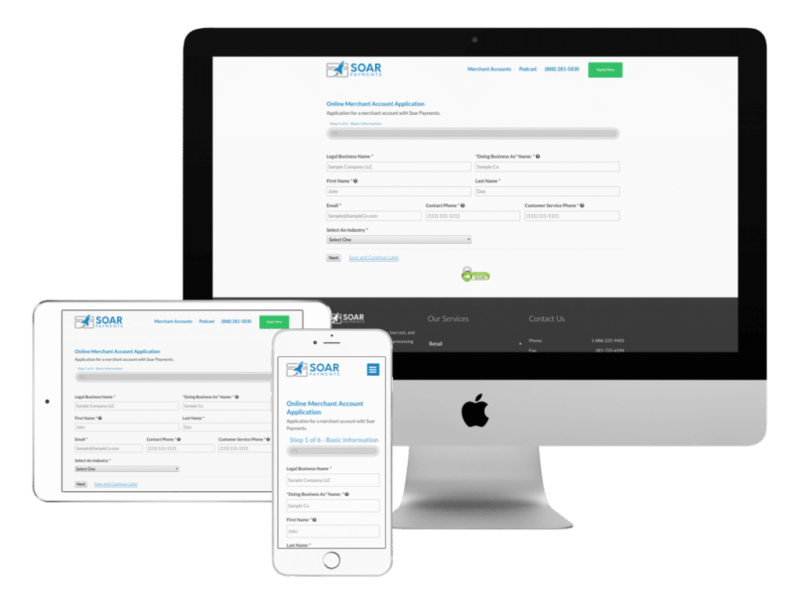 ​​Is Soar Payments compatible with my existing credit repair CRM software? Credit repair businesses typically have a preferred CRM or software platform they use. 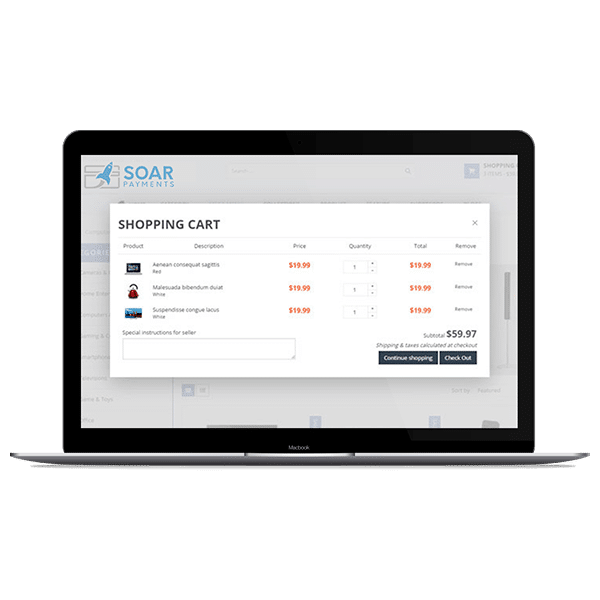 Because Soar Payments works with most major payment gateways (including Authorize.net, USAePay and NMI), our merchant accounts integrate with most credit repair software suites including: Credit Repair Cloud, Turbo Dispute, Dispute Suite, Credit Admiral Software, Score Inc. / ScoreCEO, TrackStar, Credit Money Machine, MC Credit Solutions, Dispute Valet, Dispute Composer, DebtPayPro, and many others. Can I charge my customers’ credit card on recurring billing? Many credit repair businesses prefer to bill their client monthly on a recurring billing basis. Typically, your merchant account will be approved for recurring billing. It is important to remember that each merchant account is individually underwritten and approved, therefore your business’ merchant account approval may have unique terms. What’s the application and underwriting process for a credit repair business? What should I expect? After your merchant account application is submitted, it will be automatically reviewed for preliminary approval. In literally less than a second, our system is checking for basic things like whether your business based in the US, whether you ask for a reasonable credit card monthly limit, and so on. Assuming your application passes those automated checks (and if not, don’t worry, we’ll just flag it for a manual review and can usually clear things up quickly) then you’ll receive an instant quote with a contract to review and DocuSign. Once you’ve electronically signed your credit repair merchant account application, it will be automatically submitted to an underwriter for review and approval. During that process the underwriter will be looking to see things like whether you have had a merchant account before, and if so, whether you had a whole lot of chargebacks (if so, that’s a red flag, and you’ll be asked to explain why that happened, and what steps you’ve taken to prevent it going forward). The underwriter will also be looking at the amount you requested for your monthly credit card processing limit, and will determine if that figure makes sense based on your previous credit card processing history (with exceptions for startup businesses). If you have a website for your credit repair business, the underwriter will be looking to make sure the checkout page is live, and that the prices for your credit repair services match what you said they’d be on your application. An underwriter reviewing a credit repair merchant account application will also be looking at the business owner’s credit score. Obviously someone in the business of offering credit repair services may not themselves have a “perfect” score, but it shouldn’t be abysmal either. Contingent on the underwriter not seeing anything that they need to ask you about (which will require a further “back and forth”), you should receive your formal approval in anywhere from 24 hours to a few days. Throughout the process you’ll be kept updated via email; and if the underwriter does need some additional info from you, you’ll receive that request via email as well. 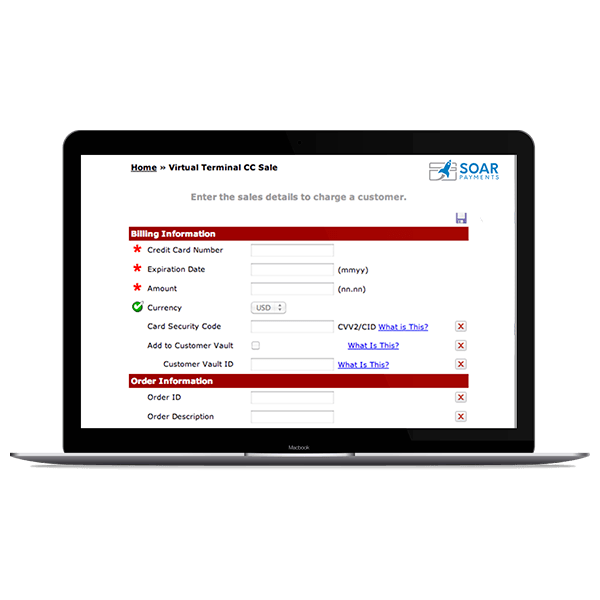 Once the underwriter approves your application, your assigned Soar Payments account manager will let you know that you’re approved, and will set you up with your payment gateway or credit card processing equipment, depending on your business’ needs. What types of credit repair businesses do you accept? Soar Payments may only consider for approval credit repair companies which meet the following criteria: owner’s credit score must be above 550; web site must not sell or mention tradelines; must not offer free trials; payment plans can be 12 months or less, but not longer.